Harrison Mann is a highly-skilled Web Design, SEO and digital marketing agency based in Bradford, West Yorkshire. We work with a wide range of clients like you; start-ups, SMEs and larger organisations in Yorkshire and beyond to increase visitors, leads, and sales online. Search Engine Optimisation (SEO) is a key digital marketing strategy in order to give your website a strong competitive advantage on Google, Yahoo, and Bing, amongst others. Our Bradford SEO team will work on a range of factors to ensure that your website is seen by your target audience. We will look into your on-page SEO, link development strategy, and study your competition in order to create a customised SEO strategy based around your specific needs and budget. Our SEO services can help you target local SEO rankings, such as “SEO Company Bradford”, or national results if you are looking to increase sales throughout the UK.  We can also help if you have received a Google penalty from an algorithm change and improve your online reputation if you have received negative mentions online. Whatever your SEO aim, we use ethical practices to help improve your search engine rankings naturally, as well as Google Analytics and other SEO software to ensure your site is bringing in the leads and sales that you require. Contact our Bradford SEO team to discuss your SEO requirements today. Pay-Per-Click (PPC) is a great way to drive targeted traffic to your website, and provides instant leads and sales for your business. As well as this, PPC also allows you to instantly measure the success of the campaign, and scale up your budget as you see positive results from our PPC services. We work on a variety of platforms for PPC advertising – Google, Yahoo, and Bing – as well as social media PPC, such as LinkedIn, Twitter, and Facebook. Whatever your aim, we can find the correct platforms based on in-depth research, develop the best PPC strategy based on your budget and requirements, and then provide on-going support and reports to allow you to see the ROI from your PPC campaign. If you are looking for a Digital Marketing Agency in Bradford or Leeds to provide PPC services for your company, please get in touch today to discuss your requirements. As an expert team of web designers in Bradford, we know that your website shouldn’t just look great. It should function on a range of devices, load quickly to meet Google guidelines, and ensure customers are not waiting to access information about your services and/or products. We make sure that your website will do just that and, more importantly, increase visitors, leads, and sales online for your business. Our Bradford web design team offer both design and development services, from WordPress Websites/Blog design which allows you to edit text and add content yourself, Shopify for e-commerce websites, and also development to improve website loading times and make alterations to your existing website. Whatever your needs, we provide website design solutions that will drive your business forward, make visitors trust your online presence, and be welcomed onto a professional website which truly represents your business. Our Bradford website design company offers Web Development, E-commerce and WordPress CMS in order to help you achieve the success you want. Since we are based locally in Bradford & Leeds (we offer Web Design Leeds services as well as other locations), we can meet you to discuss your requirements in greater detail. Simply contact us today to discuss your website design needs. Quality Content Marketing, in the form of blog posts, optimised SEO landing page text, guest posting on relevant websites, and infographics can establish your brand as a trusted source of information and position you as a leader for your industry. 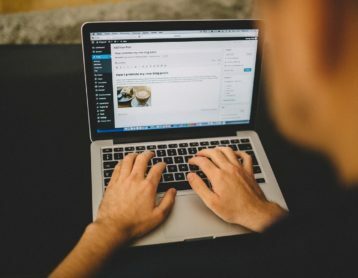 Our team of copywriters, graphic designers, and web development specialists work with you to produce content that will gain your website relevant visitors and engage them who, in turn, will share your content, link to your website, and contact you to enquire about the products/services you offer. If you are looking for a content marketing agency in Bradford that will help improve how you connect with your potential customers, please read the full list of our services and contact us to discuss your content marketing needs. Social Media is a great avenue to engage both current and potential customers, as well as helping you to share content from your website and increase your online reputation. Let our experienced social media marketing team develop a social media marketing plan to achieve your online marketing aims. We do this by using the correct social media platforms for the correct purpose, along with developing a social media marketing plan that engages prospects and builds up awareness of your brand further. You may have heard about some of the Twitter Hours we founded and run (LeedsHour, BradfordHour, HullHour, SheffieldHour, YorkHour, OurYorkshire and CharityHour) which have over 50,000 followers. If you’d like this kind of positive social media marketing for your business/organisation, please contact our Bradford office to discuss your needs. We offer a range of on-going website support packages that allow you the peace of mind that website software is updated and maintained, ensuring your online marketing continues to be live 24/7. 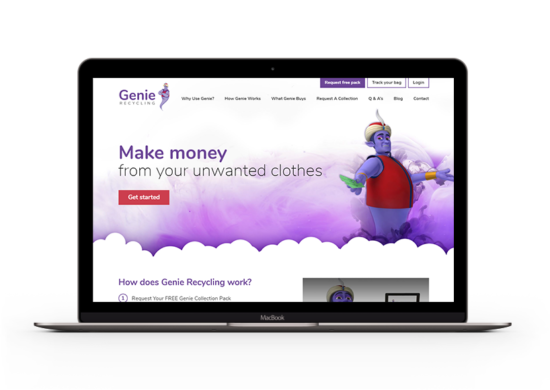 Investing in a new website design project costs money, so you need to ensure that your website is maintained, updated, and secure so that it helps you get a strong return on the initial outlay. That’s where our WordPress Website Support service comes into play and can give you peace of mind that our WordPress experts are continually improving and monitoring your site – contact us for more information about our WordPress Support packages. 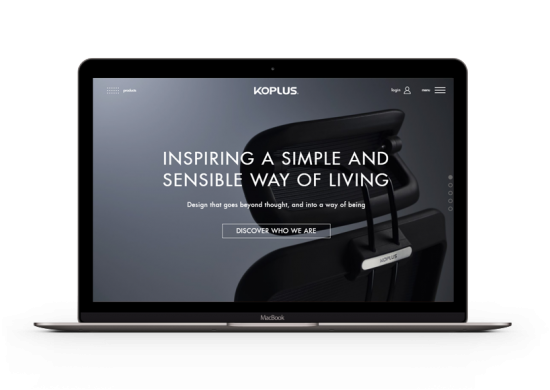 The new website has really helped their sales funnel and has made it incredibly simple for visitors to locate and view products as well as find out more information about the people and ethos behind the KOPLUS brand. Sales and online leads have increased and the website is helping both the marketing and sales teams in their daily jobs. “Since approaching Harrison Mann for our new website design project we’ve seen nothing but strong results. We love educating our clients about the potential of online marketing and how it can help your business to grow, and that is why we regularly share industry insights to help.